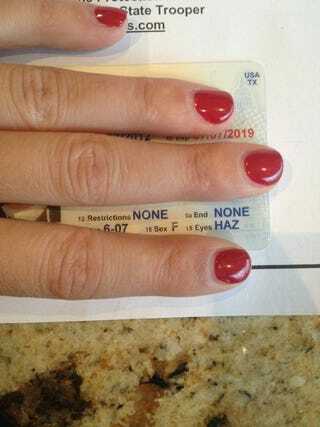 The mistake is right there on the Diamondbacks' pitcher's new Texas driver's license, which was tweeted out this afternoon by McCarthy's wife, Amanda. But I dunno, Brandon. Those nails look pretty feminine to me.